There are 60 to 70 million Americans suffering from some sort of digestive disease, with nearly 50 million visiting the doctor each year. (1) Unfortunately, the Standard American Diet (SAD) combined with the hectic lifestyles many of us lead are likely contributors to these staggering statistics. The solution isn’t simple, but with proper testing, medical care, diet and lifestyle changes, SIBO is curable and controllable. We’re going to break down everything you need to know about SIBO, including the special diet that goes along with it. Small Intestinal Bacterial Overgrowth occurs when the small intestine becomes overrun with bacteria that don’t belong there. Humans are hosts to trillions of microbes (bacteria, yeasts and viruses) that live on and inside of our bodies, especially our digestive tract. When all is going well, we enjoy a symbiotic relationship with most of them, especially the helpful types that reside in our colon. You might know these helpful types as probiotics — the good bacteria and yeasts living in our gut that help build up our immune system, digest dietary fiber and keep our health in good working order. In the case of SIBO, problems arise when bacteria (even the good kind) begin colonizing in high numbers where they don’t belong — in the small intestine. These tests, while not considered 100 percent reliable, use breath analysis to ascertain whether hydrogen or methane-producing bacteria are present in the small intestine. (4) An overabundance of methane gas is associated with constipation, while an overabundance of hydrogen is associated with diarrhea. (5) Because these two symptoms directly contradict or can happen intermittently if both gases are abundant (as is often the case with IBS), initial misdiagnosis is common. The results of a breath test can sometimes be the only difference between a SIBO diagnosis and an IBS diagnosis. The human body has a number of built-in mechanisms to keep our microbial guests in check, both in number and in location. We have gastric juices in the stomach that kill most living microbes before they reach the small intestine. Intestinal motility and the migrating motor complex (MMC) both prevent putrefaction inside the intestine. Motility is the movement of the food bolus through the digestive tract, while the MMC sweeps the intestines between meals to collect any residual particles that could be hiding. The ileocecal valve separates the small and large intestine, acting as the gateway between the two sections of the bowel and locking off the billions of flora in the colon. Finally, we have bile secretions from the pancreas that kill off anything that’s made it past the stomach acids. (5) Disruption or weakening of any one of these protective mechanisms can open us up to bacterial overgrowth and cause SIBO. A little-known fact: Stress can profoundly affect the protective mechanisms we’ve just laid out and is one of the underlying causes to a number of digestive disorders. 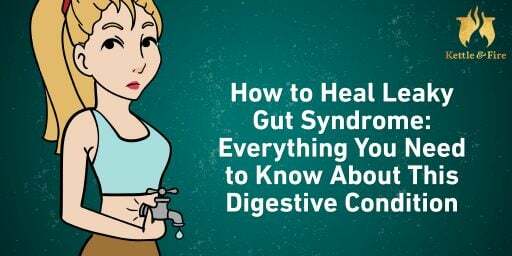 You may have noticed your own digestion change during a stressful time in your life if you’ve experienced butterflies in your stomach, indigestion or intestinal cramping. A 2005 study on mice indicated that psychological stress significantly slowed small intestinal motility, increased the presence of the E. coli bacteria, and damaged the mucosal lining of the small intestine. (7) In healthy hosts, the bacteria inside the digestive tract work to keep each other in a state of equilibrium, but this study showed that the protective features of Lactobacillus bacteria diminished, allowing E. coli to over-colonize and disrupt regular gut function. Stomach acid production is greatly heightened in highly stressful situations as well, which might suppress mucosal immunity and allow damaging bacteria like H. pylori (the bacteria implicated in gastric ulcers) to proliferate. (9) The problem compounds itself when a chronically stressed individual opts to use medication to alleviate heartburn rather than addressing the underlying cause of the stress in their life. Long-term use of proton-pump inhibitors like Prilosec or antacids like Pepcid AC or Zantac can also allow SIBO to take hold. 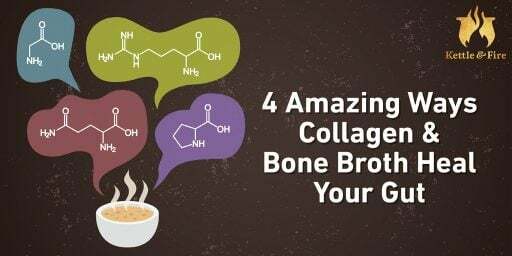 They reduce the production of stomach acid, sometimes to a low enough level that would allow live bacteria to pass from the stomach into the small intestine. SIBO is a complex syndrome and requires multiple interventions to cure it. It’s often a chronic problem, requiring cyclical treatment and regular intervals of testing and retesting in the event of persistent symptoms. Dietary interventions that reduce inflammation and starve the misplaced bacteria have proven effective at reducing the uncomfortable and potentially damaging effects of SIBO, but they can’t fully eradicate the harmful bacteria on their own. Prescription antibiotic treatments or herbal antibiotics administered by a naturopathic doctor are necessary for comprehensive SIBO treatment. These treatments target the types of bacteria colonizing the small intestine. Ongoing stress-reduction practices and lifestyle changes will help prevent recurrence and are critical to effectively treat SIBO. It’s important to work with a doctor familiar with a holistic protocol for treating SIBO, as general antibiotics — especially if repeat treatments are necessary — are not recommended, nor is the use of antibiotics a complete solution to the problem. Tackling only one area of the three-fold approach of diet, medication and lifestyle change won’t be enough to properly treat SIBO. To treat SIBO with dietary changes, your first goals are to manage the symptoms and stop the damage. Your next goal is to nourish the gut and encourage it to heal and rebuild itself with specific foods. Many holistic medical professionals will recommend starting off with the strictest version of the SIBO diet — one that combines aspects of the SCD diet (Specific Carbohydrate Diet) and GAPS diet (Gut and Psychology Syndrome), but also restricts further by only allowing very low-FODMAP foods. Quite a few acronyms! Don’t worry, we’ll explain. The goal in both SCD and GAPS is to promote healing of a damaged digestive tract through nutrient-dense foods that are easy to digest. Patients with IBS, IBD (inflammatory bowel disease), Ulcerative Colitis or Crohn’s disease might try one of these diets to help alleviate their conditions. GAPS, which is a more detailed and nuanced protocol, actually grew out of SCD research. It incorporates gut-healing foods such as bone broth and fermented juices and vegetables with every meal. While these two protocols promote healing in a damaged gut, treating SIBO requires more restrictions at the onset. That’s where eating low-FODMAP comes in. The first goal of treating SIBO is to starve out the bacterial invaders. If they can’t eat, they can’t reproduce or release inflammatory compounds that damage the digestive tract. So what do these bacteria eat? You guessed it, FODMAPs. FODMAP stands for Fermentable Oligosaccharides, Disaccharides, Monosaccharides and Polyols. Quite a mouthful! Thank goodness for the acronym. They can also be called fermentable carbohydrates for short. FODMAPs are the foods to avoid on the SIBO diet. The concept of a low-FODMAP diet was developed by Sue Shepard, Peter Gibson and others at Monash University in Australia to help manage digestive disorders. In addition to restricting specific foods, a low-FODMAP diet also stresses the importance of eating distinct meals throughout the day and avoiding snacking. This allows time between meals for that migrating motor complex (MMC) to do a thorough sweep of the small intestine. (10) It’s also important to slow down at meal time, chew your food completely, and focus on the meal in front of you. Digestion begins in the mouth! You might be tempted to automatically assume that all FODMAPs are unhealthy foods, since they’re on the restricted list, but that isn’t the case. In a healthy individual without SIBO, these foods actually contribute to a diverse ecosystem of microbiota in the lower intestine. The main reason we’re avoiding them now is because in a patient with SIBO, those same bacteria are living in the wrong place, so we don’t want to feed them. Make sense? It’s up to you how aggressively you want to treat SIBO with diet. Dr. Nirala Jacobi, ND, recommends a bi-phasic approach to treating SIBO, which starts out with an extremely restrictive diet and then begins expanding the food list after the first few weeks. Quantities of certain carbohydrate foods change how SIBO-friendly they are as well, so portion control matters on this plan. You can learn more about Dr. Nirala’s bi-phasic approach and get her free 10-page guide here. Another naturopathic doctor, Dr. Allison Siebecker, created a user-friendly PDF in addition to a helpful app that will help you navigate the SIBO diet, including quantity recommendations. You can download her app here. Overtime, as your digestive tract heals from SIBO, you can begin to introduce FODMAP foods back into your diet. At the beginning, it’s important to be pretty strict about restricting FODMAPs. The standard SIBO diet allows for a greater variety of fruits and veggies, although quantities are still important. Below, we’ve created a list of high- and low-FODMAP foods in somewhat broad strokes. As you continue to research this way of eating, you might also find that some lists contradict each other. We’ve done our best to compile the most agreed-upon list of SIBO-specific foods in both categories. Please consult the lists we’ve linked or the app for more detail. Any new eating plan can start to feel pretty restrictive when you focus only on all the foods you can’t have. Let’s shift to what’s allowable on the SIBO diet. In addition to starving out the unwanted bacteria, it’s important to begin adding in nourishing foods that are easy to digest and nutrient-dense. Nutrient-absorption is often a problem for SIBO patients, so replenishment is essential. Reading through this list of foods might feel overwhelming at first, but you’ll get the hang of it after a week or so of trial and error. Having a cheat sheet or app with you as a quick reference while you’re away from home will definitely help you stay on track and navigate food you’re not making for yourself. Recipes that focus on the low-FODMAP foods, like eggplant and tomato with fresh basil and organic parmesan cheese, or leg of lamb slow-cooked in bone broth with stewed tomatoes and carrots can help you enjoy this process without feeling overly restricted. Experts don’t always agree on which is the best diet for SIBO patients or how long they should stay on such a specific diet. In fact, some conventional GI doctors will simply prescribe an antibiotic (usually Rifaximin) and make no mention of any dietary changes. Naturopathic doctors like Drs. Siebecker and Nirala stress the use of this therapeutic diet to reduce uncomfortable symptoms and promote the healing process. They argue that to forego the diet is to risk an uncomfortable “die-off” process as the antibiotic or herbal antibiotics do their work of killing off the bacteria. The diet is meant, in part, to make that process more bearable. While we do recommend following the SIBO diet as part of your overall plan to treat SIBO, it’s important to remember that this diet isn’t meant to last forever. It’s a temporary, therapeutic regimen designed to starve out bacteria in the body. Sharing your body with your microbial inhabitants is critical for healthy immune function, digestive function and fighting chronic inflammation. When the good bugs are in the right place (the colon), we don’t want to starve them out. Once you’ve removed those bugs from your small intestine, it’s important to begin feeding and replenishing the ones in your colon. Slowly reincorporating FODMAP foods and fermented foods, along with possibly supplementing with a good-quality probiotic, will help keep your gut health on track. As we mentioned at the beginning, SIBO can be a chronic problem, recurring often and requiring a repeat of the protocol we’ve outlined here. Avoid processed, sugary foods and focus on nutrient-dense foods. Eat only gluten-free grains or baked goods (sparingly). Continue eating distinct meals and avoiding ongoing snacking. Chew each bite of food well before swallowing. Slow down at meal time and try to focus on eating without the distractions of TV or your phone. 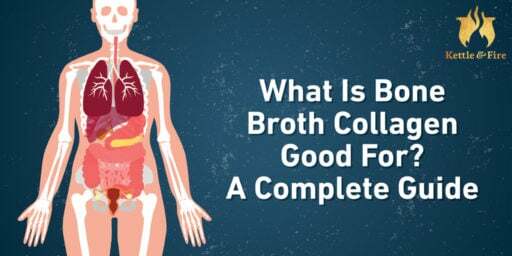 Continue drinking bone broth and consuming probiotic foods. Find a stress-management practice that works for you. Every day is a decision about how you will take care of yourself. Choose to prioritize your health and you will be far less likely to relapse.